The “city boy” in me, at times makes it difficult for me to understand stories and biblical passages referencing the farming of agriculture and livestock. Such was the case with the 5th and 6th verses from Psalms 126, until I heard a former missionary share the story of poor families from Sahel, near the Sahara Desert. In the Sahel, all the mist and moisture comes during the months of May through August. There is no rain or moisture or rain between September and April. For that, reason, the year’s food supply must be grown during the four months of mist, moisture, and rain. In October, families would sing, dance, and celebrate the harvest. The family would eat two a day. By December, the granaries receded, and family meals were reduced to one meal a day. During the months of February and March, the one meal is reduced even further. The lean months leave haunting memories. During one of those lean months, a young boy about seven years old came running to his father with excitement because he found grain in a leather sack hanging on the wall in the goat’s hut. The grain in the leather bag was the seed grain for next year's harvest. When season of moisture and rain finally arrive, the young boy will watch his father throw the precious seeds in the ground, as tears streaming down his face. The young boy has to learn the lesson of the harvest. The boy has to learn, except he scatters the seeds in the dirt, h e will never reap a harvest. The boy has to learn, unless he sow the precious seeds in tears, he never be able to rejoice and celebrate as he brings in the harvest. 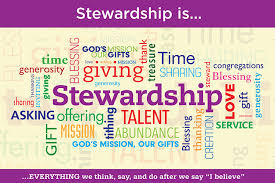 In the New Testament Scriptures, our giving is compared to harvesting, The Scripture says if we sow little, our harvest will be little, but if we sow much, our harvest we will be much. 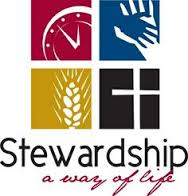 Based on your giving, what kind of harvest do you expect. Based on the scattering of your financial seeds, are you able to come rejoicing? Are you able to celebrate a bountiful harvest.